The recent detailed and most insightful reports emanating from none less than the Kaieteur News as it relates to the controversial Government of Guyana’s US$40 million terrestrial fibre optic cable that purportedly runs from the border town of Lethem to Georgetown is definitely one for the history books. The most recent revelation is that this undertaking is part of a larger US $100 million ICT project that includes a Long Term Evolution Network (LTE) under the ambit of something that parades itself as “ E-Governance”. This project is anything other than E-Governance because according to the industry best practices – the application of such a programme is geared towards the corrupt free delivery of basic state services to businesses, consumers, state employees and even government to government. Therein lies the conundrum – is this project above board, beyond reproach and can its principal architects seriously withstand professional scrutiny devoid of politics. The answer is a resounding NO! (A) Which state entity is really the one that owns this project? (B) Is it a public-private partnership as there have been many names from a number of well known local private sector entities aligned with the regime of the day that are linked to this nebulous undertaking? (C) Which company was assigned the main contract to design, deploy and maintain this huge undertaking? There is the involvement of such Chinese state owned enterprises as Huawei and Datang – both with extremely close ties to the Chinese state intelligence agencies and the military? In fact, Huawei has been effectively barred from participating in any national telecoms projects in the US, Australia and India by their respective national governments on sensitive national security grounds. (D) In the award of this contract to Huawei and others – why was there no open tender according to standard international best practices so other respected players in the global ICT sector such as Alcatel-Lucent, Nokia Networks, Ericsson or Infinera could have participated, and in so doing the people of Guyana would have had the best bang for their buck so to speak? Something of this cost and magnitude always will be subjected to competitive, international tendering procedures. (E) Could it be that they will not be entertained in such a transaction because they would have refused to be party to kickbacks which will be a gross violation of both the United States Foreign Corrupt Practices Act (USFCPA) and the OECD Convention on Combating Bribery of Foreign Public Officials in International Business Transactions as they are all based in OECD member states? (F) What professional qualifications, prior experience or global best practice standards or certifications do any of the local contractors such as Dax Engineering, Bovells or Dynamic Engineering possess to have made them suitable to installing the now stillborn terrestrial fibre? Were they simply given the contracts to undertake the work because in essence these companies are the fronts for the regime’s largesse of tax dollars to those enrolled in their ‘Friend’s & Family Programme’? (G) The Data Centre aspect of the overall ICT Project was never defined as to whether it is a Tier 1,2,3, 4 or5 as these are global standards by which any data centre would have been professionally designed, developed and maintained. Why this basic formulae was never adhered? (H) Could the learned Dr. Luncheon do the nation an immense favour in clarifying whether or not the TIA-942 Telecommunications Infrastructure Standard for Data Centers or the IEEE’s basic standards for data centres ever considered as a sound base point in the conceptualisation of such an expensive undertaking with scarce tax dollars? (I) It is almost next to impossible to construct a terrestrial fibre-optic cable along a non all-weather road and especially in the dense tropical rainforest where the Lethem Trail basically gets washed away and constantly changes direction due to constant erosion thanks to downward grading. The cable will probably need to be buried no less than 6 feet and which is obviously not the case in the current situation as alarmingly there are photos and reports of the cable having been strung along the rainforest canopy which is unbelievable to say the very least. (J) In the US and other developed societies – no self respecting contractor such as Bechtel or Peter Kiewit will ever likely agree to be paid with ‘fibre pairs’ for any civil engineering work they would have undertaken for any of the major carriers such as AT&T, Verizon, Sprint, T-Mobile etc. (K) The economic sustainability of such a cable was never a seriously considered because the existing Suriname-Guyana Submarine Cable System (S-GSCS) Network has more than sufficient capacity to satisfy the existing to medium terms demands with the potential for STM upgrades if need be. The logical thing would have been to engage with the incumbent GT&T with a view to engaging in a long-term IRU with same. Besides, there is also the older Americas II cable which has existing capacity as the world knows. (L) There is also talk about the possibility of two new cables to be landed in Guyana by E-Networks and Digicel. Can the local telecoms sector really support four subsea / terrestrial cables in a market of less than a million? This will lead to price war, asset erosion and the ultimate collapse of at least two such investments because the numbers are simply not there to make any economic sense. Did any thought on this matter went in the decision to invest in the Lethem-Georgetown Terrestrial Fibre Optic Cable? It is mind boggling that the charlatans and poseurs in charge of such a complex national development project will ever consider placing any such data centre in an old, wooden building as ‘Castellani House’ which is clearly within areas of Georgetown that are constantly flooded. Is the data centre housed in this building or in container silos located in the compound as Huawei is famous for promoting its silo concept? The best place to locate any such data centre now or in the foreseeable future will be in the higher plains of the Essequibo River and specifically moreso at Isika located just three miles from the Parika public road as there is already world class infrastructure in place, lots of land and where all future cable landings can take place at a professionally developed, carrier neutral facility. Clearly, this entire project was developed with very little professional input or any at all and for all intensive purposes has been used as state sponsored mechanism geared towards solely to ripping off the poor, overburdened, marginalised tax payer. Amidst it all, anyone that questions the criminal mindset of those in high office would simply be singled out for political harassment by various state agencies. 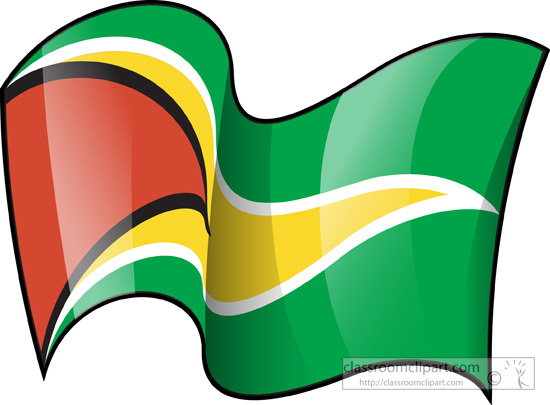 In most civilised societies there would have been a full scale public inquiry and prosecution of those that have committed such acts of fraud, embezzlement and other acts of corruption in public office but in Guyana – there are no independent investigative services such as the police or the judicial system. The nation will like to have a straightforward and honest answer from President Ramotar as to the current tax status of Dax Engineering from the period of 2010 to present and by what means the principal of Dax Engineering graduated from being a firewood vendor to a saw mill owner and now to being a telecoms tycoon. Dax Engineering is a ‘ paper tiger’ for all intensive purposes. We demand absolute and total transparency in this matter because it is not a PPP, PNC, WPA or AFC matter but a national matter because it involves the Guyanese tax payer. Mike Singh is a globally respected telecoms consultant and an investor in the Indus‐Americas Subsea Cable System (BRICS Cable) which is expected to solve the bandwidth constraints faced by the emerging markets of the Southern Hemisphere via the linkage of Asia, the Middle East, Africa & the Americas. He has been in the global telecoms & ICT Sector for 20 years and has worked with such global titans as AT&T, Tata Communications, Level 3 Communications and XO Communications. He also spent time in Afghanistan on special assignment to Afghan Wireless – the leading mobile operator therein. He is well recognized for his wide‐ranging consultancy services to a growing number of global powerhouses on both the operator and vendor sides of the convergent communication sector with a specialized focus on DWDM, GPON, 4G/LTE, Wi‐Max, VoIP, IPTv, NFC, Mobile Commerce, Mobile Health, M2M, IoT, SDN, CDN, NFV, OTT, Cloud Computing, Managed Network Services and Unified Communications as well as a number of related next generation solutions in an increasingly ubiquitous world. The Steering Committee for the BRICS Cable Consortium, The Advisory Board of The Smart Cities Council and the Global Advisory Board of “Start-Up Village India” based in Kerala, India. Start Up Village is India’s Silicon Valley and is the nerve centre of India’s ICT R&D. He is also a globally recognised thought leader and a regular presenter on issues of relevance to the global ICT sector with a special focus on mobile-convergent communications growth in the emerging markets of Latin America & the Caribbean, Africa & Asia. To date his global speaking engagements have taken him afar as The UAE, Senegal, Rwanda, South Africa, Russia, Turkey, Israel, Kazakhstan, Afghanistan, China, India, Thailand, Malaysia, Singapore, Taiwan, Japan, South Korea, Mexico, Brazil, Suriname, Argentina, Chile, Peru, Colombia, Panama, Costa Rica, Guatemala, France, Spain, Germany and of course throughout the Caribbean Basin. In 2008 and 2010 he was the only invitee from the Caribbean Basin to have participated in and also addressed the prestigious FORTUNE GLOBAL FORUM held in Delhi, India and Cape Town, South Africa respectively.